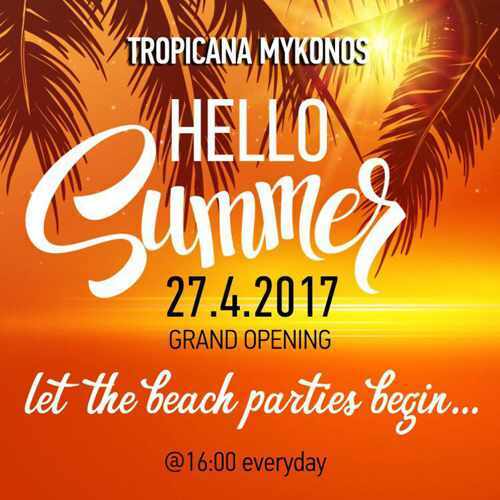 Tropicana club is back with its signature afternoon beach parties, Promising an other year of great events with varius DJ sets across the calendar. It all begins on Thursday April 27 with the Grand Opening party. Tropicana beach club is located at the famous Paradise Beach, and is responsible for unforgetable days and nights throughout the summer season. Don’t miss it!